Mario R. Canazza received his Public Administration degree from Fundaçao Getulio Vargas in Sao Paulo, Brazil. From 2001 to 2006, he worked in the private sector consulting on strategy, business processes, telecommunication services and billing systems for telecommunication operators in Brazil, Europe, Israel, Southeast Asia and the USA. In 2007, he joined the National Telecommunication Agency (Anatel), the Brazilian telecommunications regulatory authority, as an Adviser of International Affairs. Since then, he has represented the Brazilian government as a delegate and councillor at the International Telecommunication Union (ITU/UN) and the Interamerican Telecommunication Commission (CITEL/OAS). 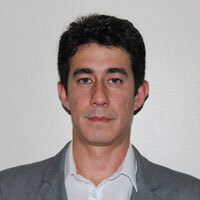 He is Brazil’s representative on managemerial and financial issues at international telecommunication organizations. He is responsible for coordinating the Brazilian government‘s participation and discussing management and policy issues at international intergovernmental telecommunications organizations. In 2013, he chaired the elaboration of the Strategic and Financial plans of the ITU for 2016-2019. In 2014, he chaired the Committee on the elaboration of the 2014-2018 Dubai Action Plan for the ITU Telecommunication Development Sector at the World Telecommunication Development Conference (WTDC-14).